My parents owned a bakery when I was in high school, and along with the doughnuts, cookies, cakes, muffins and other delicious carbs we served up daily, we served this moist, slightly spicy pumpkin bread. We used to make it in mini-loaf pans so that you could easily buy a single serving size for breakfast or an afternoon snack. 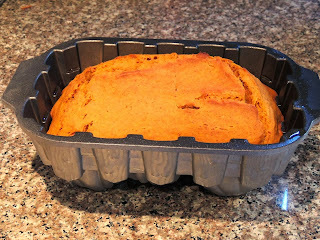 I still make this pumpkin bread, and sometimes I use mini-loaf pans; however, today I made a full-size loaf in a novelty bread pan that looks like a pumpkin patch. 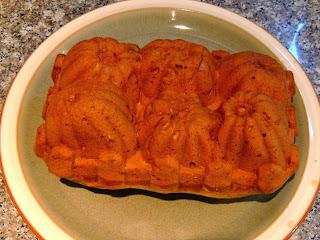 I really do love my novelty baking pans! To me, pumpkin tastes like fall, so that's usually the time of year when I make this bread. It's perfect for a Halloween or Thanksgiving get-together. 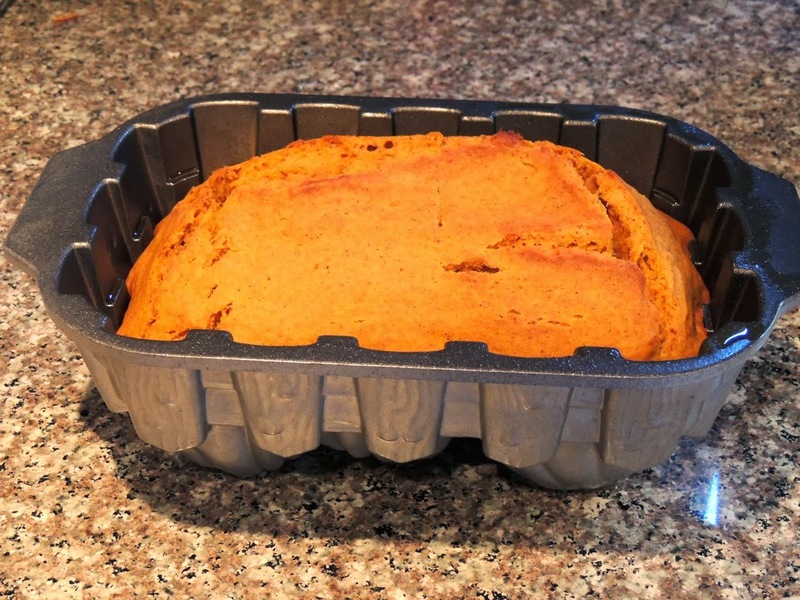 Whether you use a fun bread pan, mini-loaf pans or just a regular bread pan, your friends and family will be in for a delicious treat with this recipe! 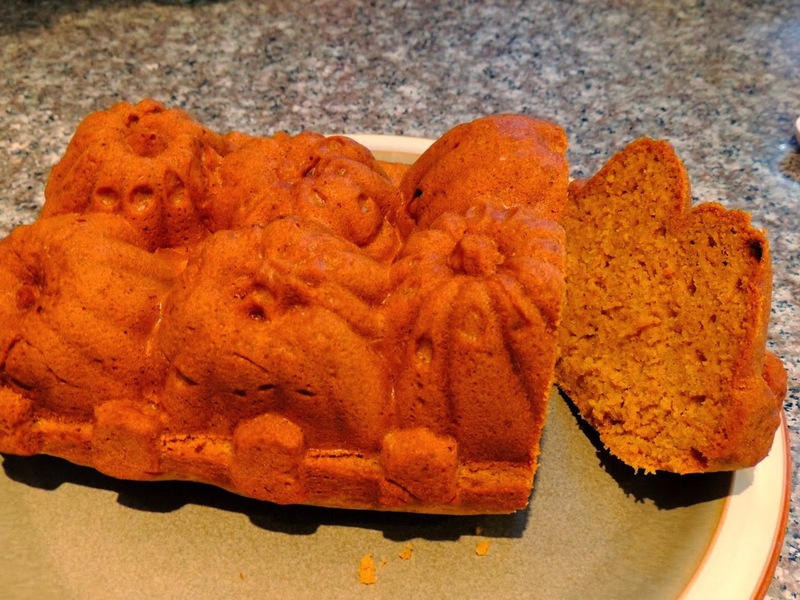 Preheat oven to 350, and grease a loaf pan with Pam butter-flavor spray or Pam for baking spray. In a large bowl, beat together the sugar and oil. Add eggs. Set aside. In another bowl, combine flour, soda, salt, cinnamon and nutmeg. Add dry ingredients and water alternately to the sugar mixture. Then beat in the pumpkin. Cool in the pan for a few minutes before carefully removing the bread from the pan. Let cool completely before covering. Store at room temperature for up to 3 days or chill up to 1 week.